Only 10 Days to enter in our annual essay writing competition! Your essay writing skills can earn you some great exposure! Explore our wonderful world, share your insights and submit your short essay. Join our annual writing competition on Kids-World-Travel-Guide.com! Write about your favourite festival or celebration and let all know what makes this event so special! your favourite tradition: explain more about the people and cultures who celebrate this event for example, what is the traditional dress code for the festival or which customs do the people follow who take part in the events? your favourite festival food: what do you enjoy to taste, eat or drink, where to eat it, maybe you want to share a special recipe as well? It's your call: Be creative! Writing Competition Entry Fee: None. Only online entries on separate writing competition form are accepted. Entries open until 15 November 2018. See form below of click here. Prizes: Each of the category winners (8-11 years/12-15 years) will receive a book voucher of US $50. The runner-up in each category will win a travel book prize worth $25. The best essays in each category of the writing competition will be published on Kids-World-Travel-Guide.com and thus seen by thousands of visitors every month! The two winner essays will additionally gain exposure on a special blog post in December 2018. All shortlisted entries will be selected by our young editorial team. I understand that you will use my information for contacting me and sending the requested information for the competition and/or winners' prizes. 1. The 'My Favourite Festival' competition is open to pupils in schools worldwide as well as homeschooling students. Learners taking part in the competition must fall into one of the two categories, ages 8 - 11 years and 12 -15 years. Parents and teachers can submit the children's essays online and can contact us with further queries via our contact form. Pupils also can apply but must be in possession of parental consent. 3. To participate in this competition, entrants must write a feature article on their favourite festival in approximately 500 words. Entries must be the work of the individual submitting them and must not have been published elsewhere or have won a prize in any other competition. It is the responsibility of each entrant to ensure that no element of their entry infringes the copyright of any third party or any laws. Entries will be judged on which are the most original, interesting and entertaining. 4. Entries should be submitted via the online entry form and must include the entrant’s (preferably the participant's school as well) full address and an email contact. Or your can send the entry within an email to info @ kids-world-travel-guide.com. Email attachments however will not be accepted! 5. Entries must have been received by 15 November 2018 to be considered for publication in Kids World Travel Guide. 6. The judging panel will be the editor and team of Kids-World-Travel-Guide.com. The judges’ decision is final and no correspondence shall be entered into. 7. Copyright in all submissions to the competition remains with the respective entrants. 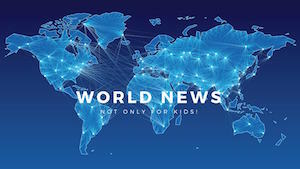 However, each entrant grants a worldwide, irrevocable, perpetual licence to KidsWorldTravels to feature any or all of the submissions in any of its publications, its websites and/or in any promotional material connected to this competition. 8. Illegible, incomplete or defaced entries will not be accepted. No responsibility can be accepted for lost entries and proof of sending will not be accepted as proof of receipt. 9. Two entries from all winning entries, one for each category, will be chosen for participation in a special blog article which will be published on the website in December 2018. 10. The winning entrants of the 2018 annual competition will receive prizes. Prizes must be claimed within 60 days of the winner and runner-up being notified. Notification of winners by 1 December 2018. No correspondence or negotiation will be entered into after this two-months-period. 11. The prizes as described are available on the date of publication and are subject to availability. Kids-World-Travel-Guide.com is responsible for the publication, adjudication of this competition and the provision of the prizes. 12. Events may occur that render the competition itself or the awarding of the prizes impossible due to reasons beyond the control of the organiser and accordingly the organiser may at its absolute discretion vary or amend the promotion and the entrant agrees that no liability shall attach to the promoter as a result thereof.